Led by a visionary, Mr. Srivastava (Founder and CMD of ARC, the first largest transport company), we are well versed in relocation and logistics business and are always agog to meet any challenge. 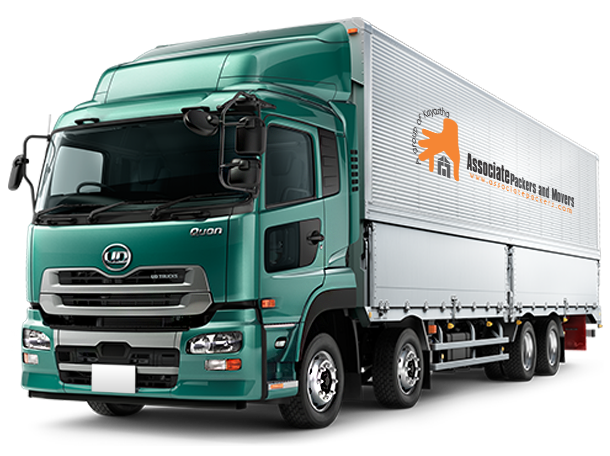 Nationwide coverage, international standards, superb quality packaging, skilled man power, tailor-made vehicles, and ultra-modern warehouses are some of the features that make us the most sought after among movers and packers in the country. Embracing quintessential features of the trade, associate, today, is a popular entity in the field for its unconditional predilection for services. At Associate, the comprehensive network of service centers across all the states makes the service delivery a smooth transaction. We have shown our presence from Meerut to Ghaziabad and Delhi to Noida. International quality packing material and techniques are used for assured protection and the safety of freights. Skilled manpower is available at all locations for hassle free packaging, loading and unloading. We arrange suitable vehicles with highly skilled drivers to meet customers’ expectations ever. Associate works with a large number of global affiliates which make it cover all important destinations within and beyond India while global tie-ups always work in our favour. Moreover, 1,00,000 sqft of warehousing facilities spread over top cities in India is another feat we have achieved to cater to all storage needs of our clients to ensure a hassle-free, on-the-spot, timely and memorable experience with a smile…to all our customers!